Union Public Service Commission had recently released IES ADMIT CARD 2014 on its official website www.upsc.gov.in. Those candidates who have applied for Indian Engineering Services (IES) Exam 2014 can now download their e-admit card. IES 2014 exam is scheduled to be held on June 20, 2014. Candidates are eagerly waiting for the admit card to be released. Now their wait is over as UPSC had released the admit card for IES 2014 exam. 2. Enter your registration ID and Date of Birth. 3. Enter the characters shown in the image and click on submit. 4. Your IES Admit card 2014 will be displayed. Save it on your computer and print one or two copy. Remember to carry your one copy of IES admit card 2014 on the date of examination. All the details regarding Examination centre, time of exam, roll number etc. will be given in your IES admit card 2014. Note down the details carefully. Remember to read the instruction provided on the admit card if any. UPSC IES Admit Card 2014 can be download up to 22 June 2014. IES Exam notification was released on 15 March 2014. The last date of receipt of applications was 14 April. The exam of Indian Engineering Services is to be held on 20 June 2014 (Friday). The duration of IES exam is 3 days. 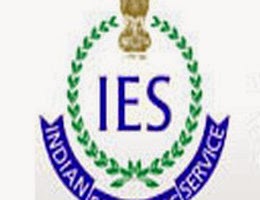 IES ADMIT CARD 2014 can be downloaded from the link given above. Are You Eligible For SBI PO Recruitment 2014 ?